Children will reach the crest of fun on the Craggy Peak play structure. 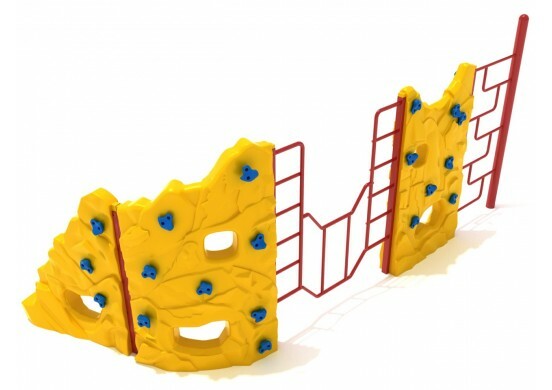 Made up of three rock climbing walls, this play structure also provides a variety of climbers and ladders for children to enjoy climbing on. 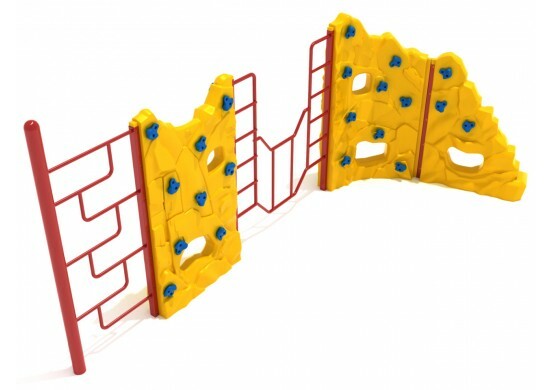 Two rock climbing walls are connected to each other, off of these two rock climbing walls are three metal climbing features attached to it.Two resemble vertical ladders, and one resembles a curved horizontal ladder. Off of this is the third rock climbing wall, and attached to this rock climbing wall is a maze rung climbing feature. 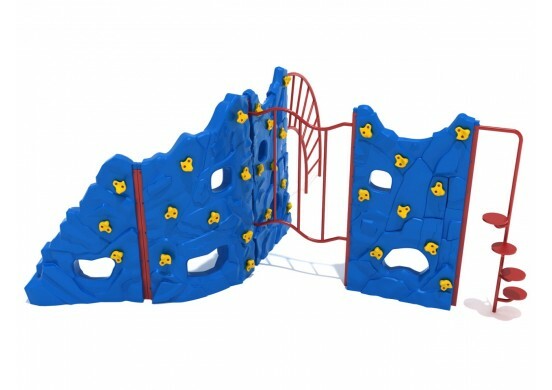 The Craggy Peak play structure is also designed to test and improve children’s strength, coordination, and agility. This play structure weighs a total of 434 pounds and has a safety zone of 19 feet 7 inches by 30 feet 1 inch. 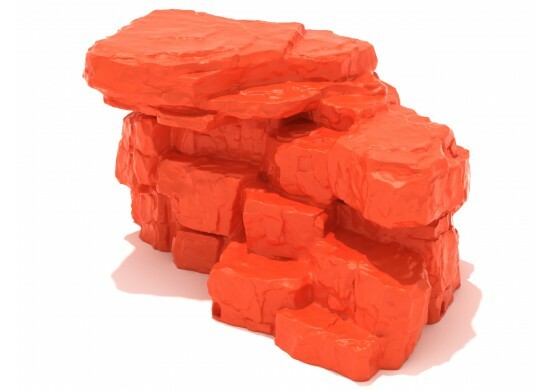 This play structure is designed for children who are between the ages of 5 and 12 years old.